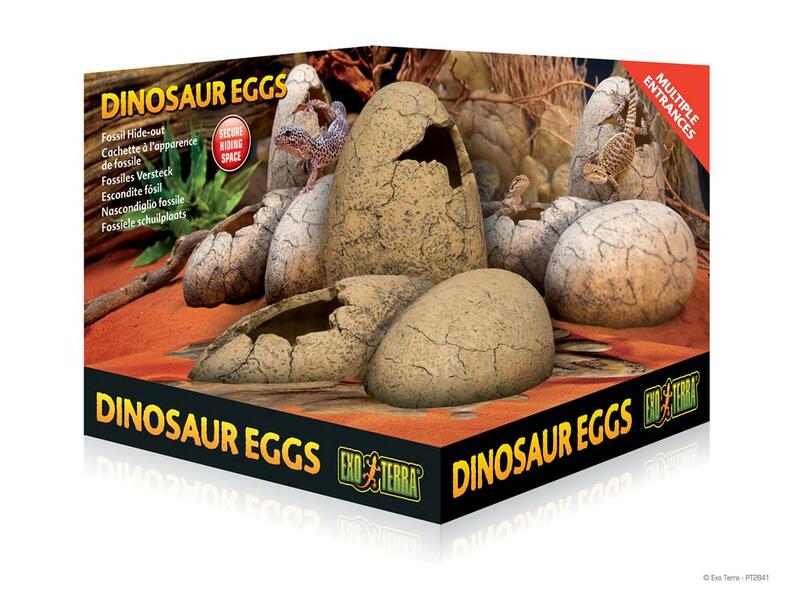 Exo Terra Dinosaur Eggs Hiding Space | Livefood UK Ltd. Without a safe spot to hide and sleep reptiles and amphibians will easily develop stress that will effect their activity and appetite. Dinosaurs ruled the earth for more then 140 million years and are considered to be the ancestors of today's reptiles. The Exo Terra Dinosaur Eggs add a prehistoric accent to your terrarium and provide a multilevel hide-out. The Exo Terra Dinosaur Eggs provide a shelter with multiple entrances for easy access and allow you to create a cool, moist microclimate within the terrarium.